Noise-induced hearing loss (NIHL) is often associated with tinnitus. The shape and depth of the audiogram in patients with NIHL varies considerably. Characteristics of tinnitus (sensation level, pulsatile versus continuous, perceived pitch) also vary widely across individuals. The relationship between the pattern of hearing loss and the characteristics of the tinnitus is complex and a relevant topic of research. The relationship between the parameters of a noise exposure and the resulting hearing loss. The cochlear pathologies underlying permanent hearing loss and temporary hearing loss and how they differ. 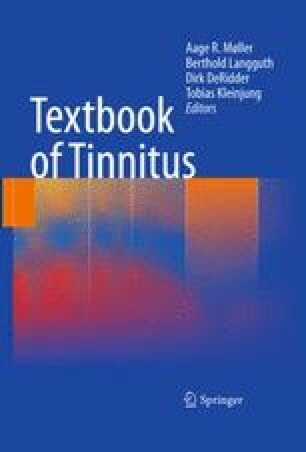 Noise-induced tinnitus and the animal modeling of tinnitus used to study the relationship between noise and tinnitus.